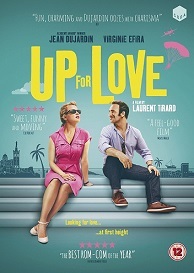 Up For Love is released on DVD November 28th And to celebrate we have a great competition for you and 3 copies on DVD to give away. Diane (Virginie Efira) is brilliant, beautiful, witty… and a formidable lawyer. She’s just put an end to a toxic, unhappy marriage and is finally considering the idea of meeting someone new.